RBI came out with operating guidelines for differentiated banks — payments banks and small finance banks — being set up to bring in new players who are now empowered to leverage on technology for financial inclusion in a cost effective way. i) PBs can accept deposit only up to Rs 1 lakh. ii) Small Finance Banks will have to follow norms relating to minimum balance, inoperative accounts, nominations, and cheques/drafts. iii) PBs will have to maintain a minimum investment to the extent of not less than 75 per cent of ‘DEMAND DEPOSIT BALANCES’ as on three working days prior to that day, in Government securities/Treasury Bills with maturity up to one year that are recognised by RBI as eligible securities for maintenance of Statutory Liquidity Ratio (SLR). iv) SFBs may issue passbooks for the deposit accounts, while payments banks need not issue passbooks for the deposit accounts. PBs, however may provide statement of account in paper form on request on chargeable basis. v) Both PBs and SFBs can engage all permitted entities including the companies owned by their business partners and own group companies on an arm’s length basis as Banking Correspondents’. vi) The capital adequacy framework is same for both type of banks — Minimum Capital Requirement (15 per cent) and Common Equity Tier 1 (6 per cent). vii) For product approval, PBs at the time of submitting application for licence, should submit to RBI a list of financial products they intend to offer with a clear description. 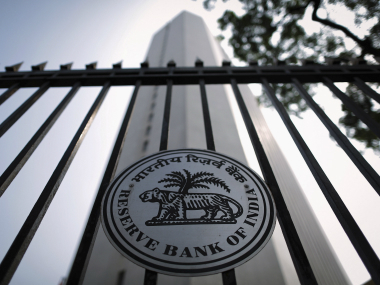 Any new products to be introduced thereafter should be intimated to RBI for information. viii) No SFB will be permitted to undertake any para-banking activity except that allowed as per the Licensing Guidelines and the related FAQs issued. ix) SFBs will be permitted to use Interest Rate Futures (IRF) for the purpose of proprietary hedging. x) As regards the foreign exchange business, SFBs would be permitted to use derivatives for proprietary hedging only. xi) RBI has issued licence for SFBs and PBs only to further financial inclusion. Thus, their client base would primarily be migrant labour workforce, small businesses, and unorganised sector entities. Among others, Ujjivan Financial Services, Janalakshmi Financial Services, Au Financiers (India), Capital Local Area Bank Ltd, and Utkarsh Micro Finance, have got in-principle licences to open small finance banks. RBI has granted ‘in-principle’ approval to Reliance Industries, Aditya Birla Nuvo, Vodafone, Airtel and India Post, among others to set up Payment Banks.